Singer-songwriter Sia, cool enough for only one name, has made a pretty big purchase – a 5,161-square-foot home in Los Angeles for $4.7 million. Celebs permanently moving to the West Coast isn’t anything new, including the recent stars who have ditched their New York City apartments for huge California mansions. The Australian artist has joined the ranks and settled down in the winding roads of Los Feliz. 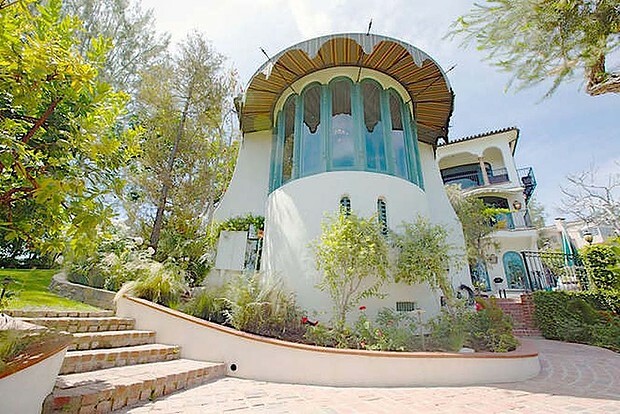 Much like the singer herself, this Mediterranean-style home is full of quirks and eccentricities. Originally built in 1924, the architect A. F. Leicht lived up to his name and created the perfectly whimsical home. This white-walled home is embellished with wood carvings and stained glass windows, allowing the attention to be fully on its unique details. And it seems that the “Chandlier” singer is taking her song to heart. There are chandeliers located in the sun room, foyer, kitchen, at the top of the staircase and entryway of the master suite. The home also has three working fireplaces. Three years ago, the property sold for $3.307 million, yet over the years it has become an one-of-a-kind five-bedroom, five-bath abode with an amazing view of Downtown L.A. In Sia fashion, she listed the property name when she purchased it as “Whatever Dude LLC”. The listing agent who sold her the home was Jon Grauman of The Agency.